How close are we to flying cars? Even before the cartoon character George Jetson entranced kids with his flying car, people dreamed of soaring above traffic congestion. Inventors and entrepreneurs have long tried and failed to make the dream a reality. But that may be changing. Nearly a dozen companies around the world are competing. They want to be the first to develop a new kind of aircraft. One company is Airbus. It is based in Europe. The so-called flying car will enable commuters to glide above crowded roadways. A few of the aircraft under development are cars with wings. They unfold for flight. But most aren't cars at all. Typically they take off and land vertically. This would be more like helicopters. Rather than a single, large main rotor, they have multiple small rotors. Each rotor is operated by a battery-powered electric motor. This is instead of a conventional aircraft piston engine. It's no sure bet that flying-car dreams will turn into reality. There are many obstacles. These include convincing regulators that the aircraft are safe. 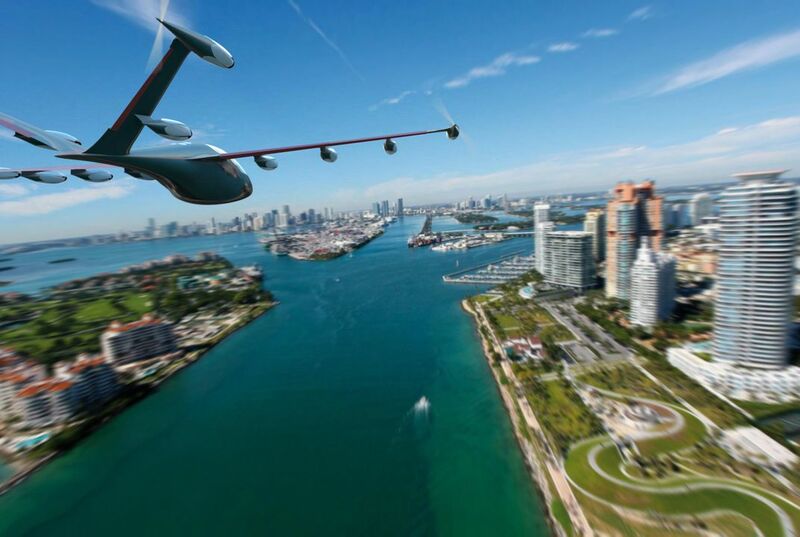 Designers must figure out how to handle thousands of new low-flying aircraft over cities. They would need to avoid collisions. And, batteries must be developed. They would keep the flying cars aloft long enough to be useful. But entrepreneurs are moving forward. They see a vast potential market for "air taxis." And perhaps, personally owned small aircraft. These would transport people from the fringes of metropolitan areas to city centers. It could occur as urban areas grow more congested. And people are forced to spend more time stuck in traffic. The designers envision tens of thousands of one or two-person flying taxis. The taxis might deliver passengers to the rooftops of office buildings in city centers and other landing pads. The aircraft would be especially useful during rush hours. "In as little as 10 years, products could be on the market that revolutionize urban travel for millions of people," said Zach Lovering. He is the leader of Airbus' project to develop an autonomous flying taxi. It is called the Vahana. The name means the mount or vehicle of a Hindu deity. Uber released a 98-page report in October. It made the business case for air taxis. The company sees them as the future of on-demand transportation. Uber doesn't have any plans to develop a flying car itself. But the online transportation network is advising several companies that have aircraft in the works. "The role we want to play is as a catalyst for the entire industry," said Nikhil Goel. He is an Uber project manager for advanced programs. Some of the aircraft are drones. Each would be preprogrammed for every flight. They will be monitored or operated from the ground or a command center. Others are designed for human pilots. It's unclear yet how much the aircraft will cost. The prices are likely to vary significantly. Some of the aircraft are designed to be individually owned. Others are envisioned more for commercial use. Designers hope that demand is high. If so, prices might be kept affordable through mass production. Several recent developments could make these aircraft possible. Advances in computing power mean the rotors on multi-copter drones can be adjusted many times per second. This makes the aircraft easy to control. Drones have also benefited from advances in battery and electric motor technology. Some companies, like Chinese dronemaker EHang, are scaling-up drones. That's so they can carry people. Another aircraft under development is at Joby Aviation. The company is based in Santa Cruz, California. Its aircraft is called the S2. It looks more like a conventional plane. But there are 12 tiltrotors. These are spread along the wings and tail. And some, like the Vahana, have a cockpit mounted on a sled, with propellers in front and back. They don't really look like any aircraft in the skies today. New computer chips "have literally opened the door to a whole new world of flying machine possibilities," said Charles Eastlake. He is an Embry-Riddle Aeronautical University professor emeritus of aerospace engineering. But he also offered a caution. 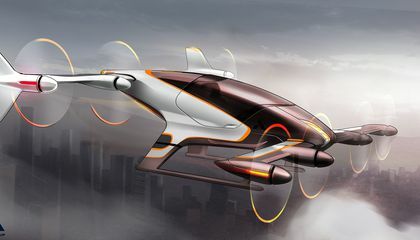 "My best engineering guess is that people actually using autonomous air taxis in the next 10 or 15 years is possible. But it is definitely not certain. The challenges are big." Key for many of the designs will be the development of longer-lasting lightweight batteries. Current batteries could probably keep an air taxi aloft about 15 to 30 minutes. Then it would have to land, experts said. Depending on how fast the aircraft flies, that probably isn't quite enough to transport passengers between nearby cities or across metropolitan areas, experts said. Another hurdle will be winning Federal Aviation Administration certification for any radical new kind of aircraft. Approval of even small changes in aviation technology can take years. The FAA said in a statement that it is taking a "flexible, open-minded, and risk-based approach" to flying cars. FAA officials have discussed with several manufacturers the certification of aircraft. These will be flown with a pilot in the beginning. Later, they will be converted to an autonomous passenger aircraft. Reducing noise is another challenge. Air taxis will be taking off and landing in densely populated areas. So is creating enough landing pads to handle lots of aircraft at the same time. A new air traffic control system would also likely be needed. "It's pretty clear that the existing air traffic control system won't scale to the kind of density at low altitudes that people are talking about," said John Hansman. He is a Massachusetts Institute of Technology professor. He chairs the FAA's research and engineering advisory committee. NASA is developing an air traffic control system for small drones. It could perhaps be expanded to include flying cars. "There's no question we can build the vehicle," Hansman said. "The big challenge is whether we can build a vehicle that would be allowed to operate in the places where people want to use it." Would you climb a frozen waterfall? Why is it so difficult to make a flying car? Cars are not meant to be in the air. They are really heavy and bulky. They are meant to ride on the ground. Making a flying car is difficult because you have to have definition and other wind sources. Also, don't know if they could make it to go into places people want to go. There are many obstacles to account for in the process of creating a flying car, such as longer lasting batteries. The cost will be astronomical concidering a helicopter costs a lot and it will take much more parts and money to make than a helicopter would. Also it could be difficult because of how long it will take to get it past the FAA. It's difficult to make a flying car because you need to think about how to keep it aloft, how much noise it would produce, where it would land, where they would drive, and if the people flying them are qualified. It is difficult because there are many safety aspects of it that you have to consider and work on, such as traffic flow, how to avoid collisions, convincing regulators they are safe, and making sure the battery is strong enough, and as I imagine engines along with that. its difficult because they cant mess anything up because if they do it could end very badly and end in bad wreck.